From the moment you cross the Piscataqua River and enter the state of Maine, you are in a new world. Life is a little different here. The pace is relaxed, the people are friendly and the air is fresh with the sweet scent of pine. The usual hustle and bustle of the Northeast is left behind and replaced with tranquil days filled with scenic vistas, quaint fishing villages and rustic inns. Many people visit Maine to indulge their senses. They revel in the beauty of the landscape, the sound of loons flying overhead, the salty smell of the sea, the feeling of cool summer breezes and, of course, they savor the many flavors that make Maine so unique: freshly caught lobster, delicious blueberries and homemade bread and confections. Maine was home to fishermen and shipbuilders for several centuries before tourists traveled to this vacation paradise. It wasn’t until the mid 1800’s when artist Thomas Cole discovered the splendor of the Bar Harbor area that people from all over the country were soon flocking to Maine. Cole and other New York artists traveled to Bar Harbor to paint seascapes and landscapes. Once their paintings were taken back to cities across the country, they were so well received that people wanted to see the places depicted in the paintings for themselves. These first visitors, known as “rusticators” were city people in search of a wilderness experience. They would take nature walks, collect flowers, pick berries and chop wood, all to become one with nature. Wealthy summer visitors, including the Astors, Carnegies, Morgans, Vanderbilts and Rockefellers built homes. Keeping in line with the rusticator ethic, these homes featured wood, stone and other materials from the land nearby. These cottages, however, were anything but primitive. Although they exuded earthiness, most homes had as many as 30 rooms. Before too long, Bar Harbor soon rivaled Newport, Rhode Island as the summer resort capital of the East. In addition to building homes, it wasn’t long before the residents of Bar Harbor put up hotels and restaurants. By 1880, a visitor could choose from accommodations at 30 hotels. Ironically, these same summer rusticators also helped preserve the natural beauty of the surrounding area. John D. Rockefeller Jr. and several of his wealthy friends solicited funds and succeeded in purchasing roughly 15,000 acres on Mount Desert Island to create Adacia, the first national park whose land was donated entirely by private citizens. Besides donating the land, Rockefeller build Acadia’s famous series of carriage paths hidden from the public roadways. There are 43 miles of these graveled quiet paths meandering through the western part of Acadia National Park. In return for his donation, he specified that they would only be used for bicycles, carriages, walkers and joggers, automobiles would never be allowed on them. Acadia National Park is situated mostly on Mount Desert Island, Maine’s largest island. Located off the Down East coast of Maine, it encompasses a stunning range of geological diversity, including rocky Atlantic shoreline, lush forests of spruce and fir, several small lakes and rugged granite hills boasting famous hiking trails with panoramic views of the ocean. The island is divided in half by the East Coast’s only fjord, known as Somes Sound. Acadia is filled with activities such as scenic drives, biking along the sea or rock climbing. One such scenic drive is the Park Loop Road, a curvaceous 27-mile drive that ranks as one of the scenic wonders of the East Coast. Hugging cliffs above the Atlantic, it wanders past views of a rocky, surf-pounded Maine coastline dotted with evergreens. However, seeing all that magnificence at the speed of a car is a pity. If you have the time, it is better to stop along the way, taking in some of the sights such as Thunder Hole, Jordan Pond or the drive up to the summit of Cadillac Mountain. 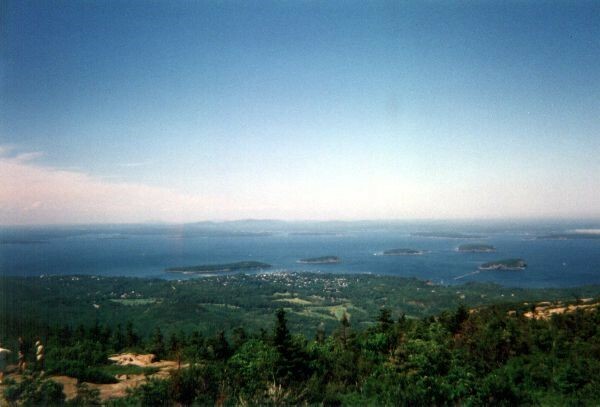 The top of Cadillac Mountain offers the best views of not only Acadia, but the outer islands and Bar Harbor as well. Hiking is another great way to get up close and personal with Acadia. The park contains 26 mountains and 120 miles of hiking trails. Beginning hikers will enjoy the Ocean Trail, which winds along the coast and lower sea cliffs for 3 leisurely miles. For the more experienced hikers, the Precipice Trail should not be missed. While the Precipice is only 1.6 miles in length, it rises 1,000 feet and is rated as a non-technical climbing trail. The trail is not recommended for those who have a fear of heights, as it traverses cliffs and open ledges, and makes use of iron rungs and ladders at various points on the trail. Once you get beyond the cliffs, the rest of the trail has stunning views of the meadows, ocean and islands below. After spending the day in Acadia, spend your evening in Bar Harbor. Nestled next to Acadia, Bar Harbor is a tourism based seaside resort town, with all the charms and delights that are generally found in such seaside towns. 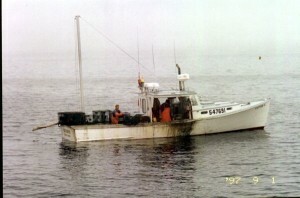 Lobster boats are moored in the harbor and men are unloading traps on the pier. The quaint streets are lined with speciality shops and restaurants. You can enjoy a lovely meal overlooking the harbor and then wander up Main Street to one of the local shops for homemade ice cream. In high season, Bar Harbor is also the point of embarkation for up to 21 different sea trips, for purposes ranging from deep-sea fishing to cocktail cruises and of course the popular whale watching expeditions. 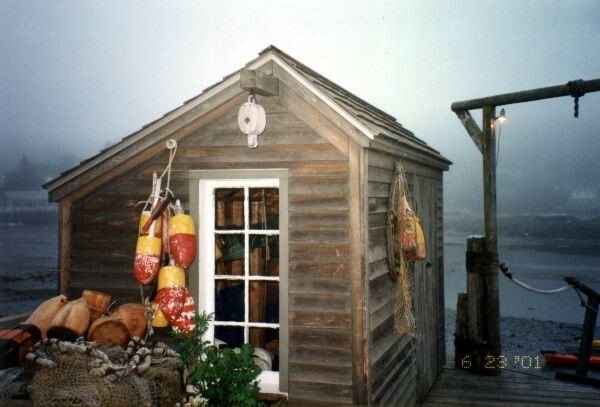 Lodging in Bar Harbor is an experience in itself. Bed & breakfasts offer a cozy environment in which to lay your head and an ambiance second to none. My personal favorite is Anne’s White Columns Inn. A warm welcome awaits you in this comfortable Georgian style home with Victorian decor. Cozy and intimate, Anne’s has spacious rooms, each uniquely decorated with a private bath, one queen-sized bed, cable TV and some with private balconies. After a relaxing nights sleep, wake up to the aroma of a continental breakfast of homemade breads and muffins, cereal, orange juice and coffee or tea. Afternoon treats of wine, cheese and crackers are also available. Located in downtown Bar Harbor, Anne’s is within easy walking distance of all the shops and restaurants. You won’t have to worry about parking because Anne’s includes a private parking lot. In addition to Acadia and Bar Harbor, Down East Maine is comprised of the area between the broad Penobscot Bay on the southwest and the Canadian border on the northeast. Down East is not a land term but rather a nautical one. From Boston or Portsmouth, the prevailing summer winds hail from the south or southwest. To get here from there, boats sail downwind, an ideal breeze for moving down the coast, especially a coast that juts out as far east as Maine’s does. Therefore, they most frequently sailed with, or down the wind, as they moved eastward, hence “Down East”. 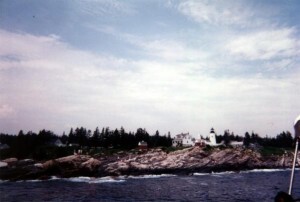 At the southern tip of Down East Maine lies Boothbay Harbor which is another popular seaside resort town. Like most Maine harbor towns, it sports an assortment of docks, seafood restaurants, steepled churches and local craft shops. 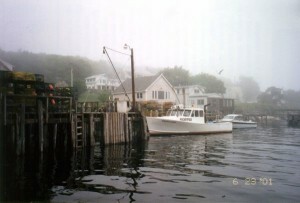 Although Boothbay is traditionally a quaint fishing village with spectacular scenery, many people travel here for its wealth of outdoor activities. In Boothbay, you can enjoy camping, fishing, hunting, swimming, sailing, puffin and whale watches, scenic nature cruises, harbor tours, canoeing, kayaking, hiking, biking, golf and wildlife watching. Of all the activities, Boothbay is most known for sea kayaking. This rocky shoreline is a diverse collage of small islands, inlets and hidden coves where few other vessels dare to venture. On a sea kayak, one can explore all the nooks and crannies and view osprey, seals and other wildlife which cannot be seen from land. 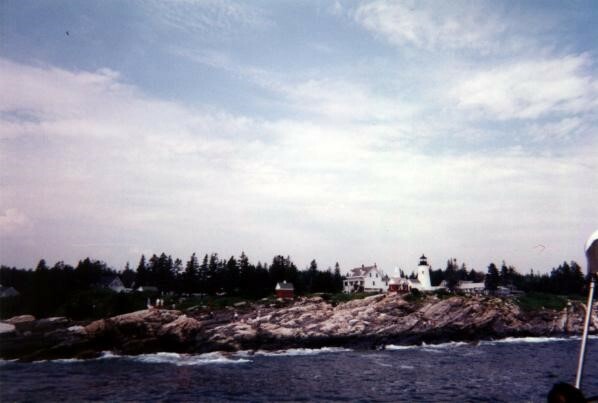 One of the islands which lies off the coast of Boothbay Harbor is Southport Island. Here you will find a secluded waterfront resort hidden amongst 85 acres of pines. This is the perfect place for those in search of serenity in a setting where they can experience nature at its best. But make no mistake, Ocean Gate is no campground, it is a resort with all the amenities and outdoor activities you can imagine. You’ll begin your day with a hearty breakfast buffet. From there, you’ll have some tough decisions to make. You can play a game of tennis then cool off with a swim in the pool or you can spend your day paddling the area’s pristine waters on either a kayak or a canoe or you can simply lounge on your private balcony and watch the lobstermen tend their traps. All the rooms at Ocean Gate are spacious and include a refrigerator, coffee maker, cable TV and a private balcony with unforgettable views of the beauty of the Maine coast, and the adventure and relaxation that come with a truly great outdoors experience. During your stay in Maine, make sure to set aside some time to visit Freeport. Freeport is a bargain hunter’s paradise, with a multitude of upscale outlets and world class company stores, unique specialty shops and antique malls. Shoppers can expect to find fashionable merchandise appealing to those with an eye for quality. There are over 150 stores in all, including an L.L. Bean that is open year-round, 24 hours a day. Generally travelers pass through Freeport on the way back from Down East Maine. Freeport is accessible from I-95 at exits 17, 19 and 20.